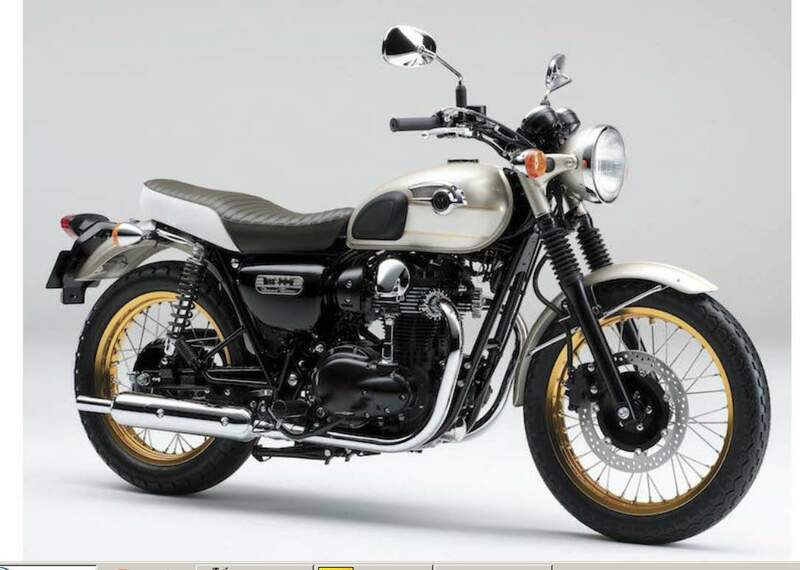 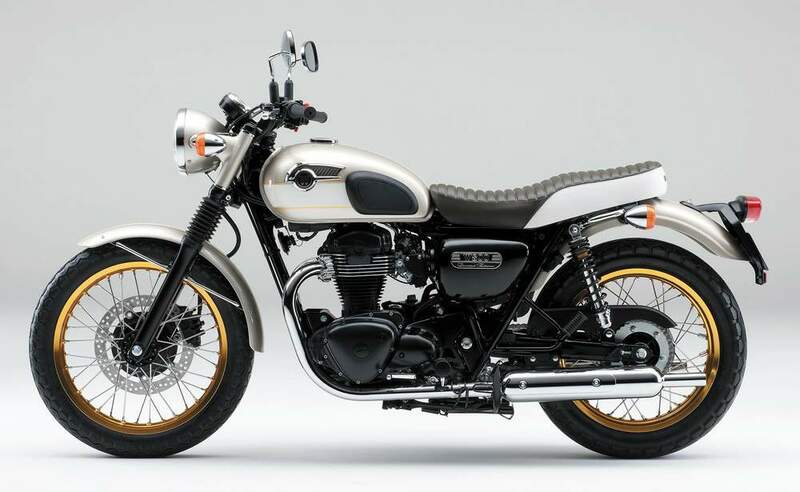 This Kawasaki W 800 is Japan-only limited edition version. 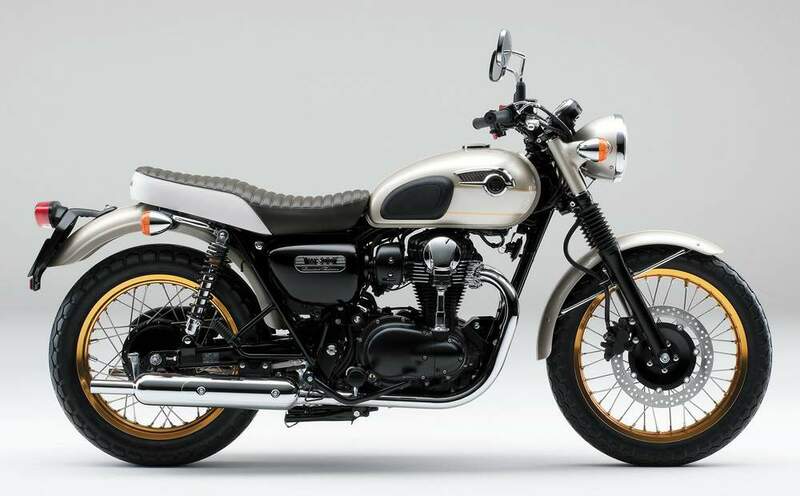 Only 300 units will be produced. 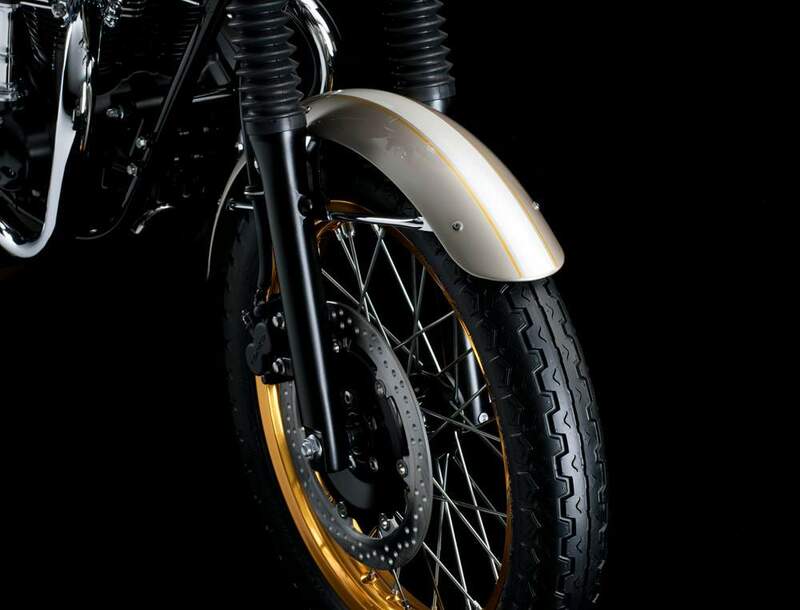 The engine casing and forks will be black, the wheels will be gold instead of chrome and metallic beige paint. 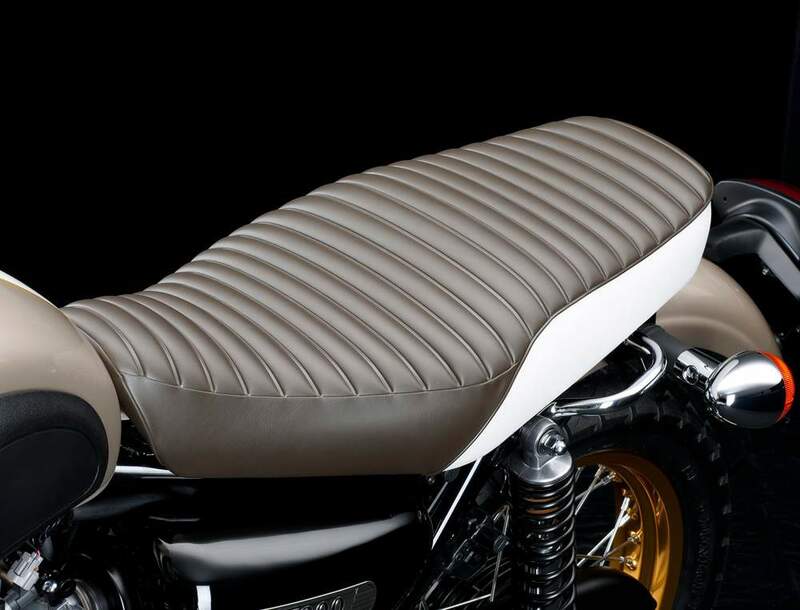 It will have a beige seat to match the body colour.